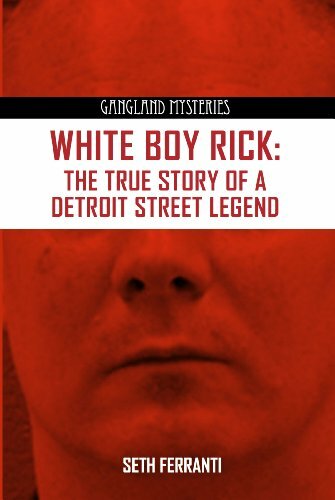 This is the story of Richard ""White Boy Rick"" Wershe, a young white kid who was a street legend in 1980s Detroit. In the crack and crime infested City of Motown White Boy Rich reached infamous status, not only for his exploits in the drug world, but also for the colour of his skin and his age. A protégé of some older, more experienced street hustlers. White Boy Rick was thrust into the limelight in the world of flash and style. And despite his race and age, he sky rocked to street star status in the midst of some serious violence and death. As a teenager, White Boy Rick rubbed shoulders and stood tall with his contemporaries and survived the deadly gangland murders while others weren't so lucky. He was eventually set up and imprisoned under the Michigan's 650 Life Law, on of the only people ever to get a life sentence as a juvenile. This book uncovers the truth that shows how the legend of White Boy Rick came to be.